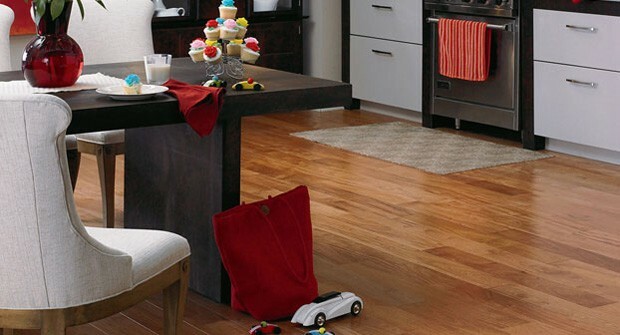 The Best Type of Flooring For Family Fun! So what is the best type of flooring for a family? Truth be told many floor choices have benefits and setbacks when it comes to an active family environment. The best thing that you do is choose what works for your household! So in this article, I’m going to throw several choices out there and let you decide! Keep in mind that this article will mainly focus on family rooms and all that apply. Some rooms will simply require certain conditions due to moisture levels in the room, like kitchens or bathrooms. Oh the good old days! At a certain point in the flooring timeline carpet reigned supreme. Its soft and warming qualities are an excellent reason to keep this as a front runner. Adding the right padding is also essential for families because of the contribution to moisture protection, cushioning, and sound reduction. This is a power house of comfort. The downside of Carpet when it comes to active families can be daunting though. Carpet can stain very easily compared to hard surface flooring options. This is bad news for younger children who love brightly colored drinks and juices, as well as animals who haven’t quite gotten the hang of potty training. However, with older children it will be less of a problem! 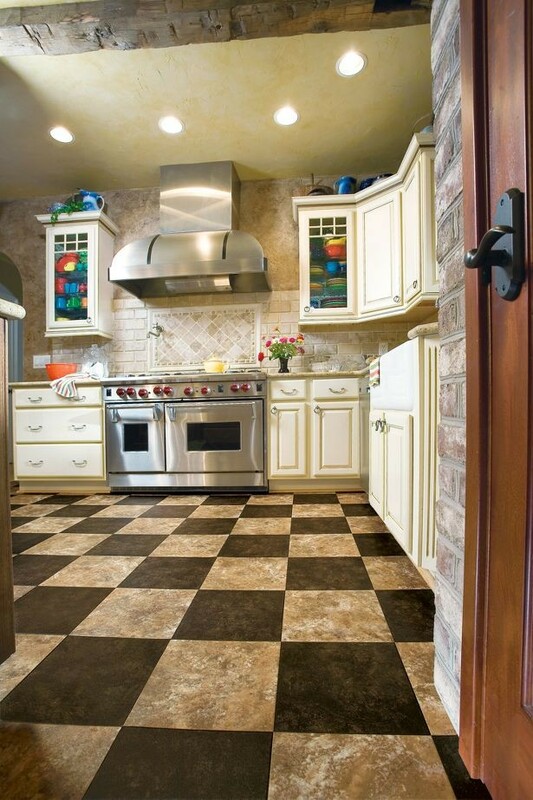 Hands down, vinyl flooring is the easiest to maintain as far as keeping it clean goes. Many come with exceptional warranties as well. This type of flooring will also go great in just about any area of the home because of the fact that is pretty much impermeable to liquids. So Juice Drinkers Rejoice! Vinyl is also one of the cheapest floors for families that are on a budget, and installation is easy enough that you can do it yourself, further saving money! With the good always comes the bad. The negative side of Vinyl flooring lies in its scratching resistance, despite years of working to improve this technology, vinyl flooring is simply not up to par. Comfort levels also take a leave of absence, you are typically going to deal with a cooler and harder floor, so you may want to pick up a pair of fluffy slippers to counteract the frigidness. 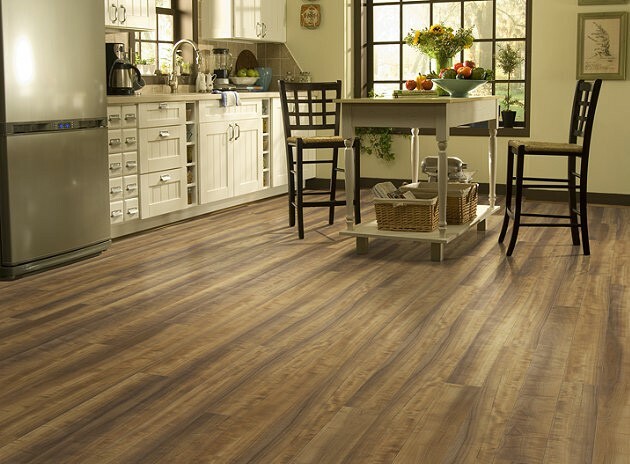 Laminate flooring actually reigns supreme when it comes to scratch resistance. The technology is ever changing so rest assured that you will always be current when you get a new laminate. Believe it or not, there are even some laminate floors on the market that can stand up to high heels! Yes ladies, high heels are a known floor destroyer! This also applies to dress up play sessions for little princesses! The downside to laminate is the moisture resistance, and sometimes cheaper laminates tend to be less realistic. You can also add the “Cold” factor to the list of negatives. 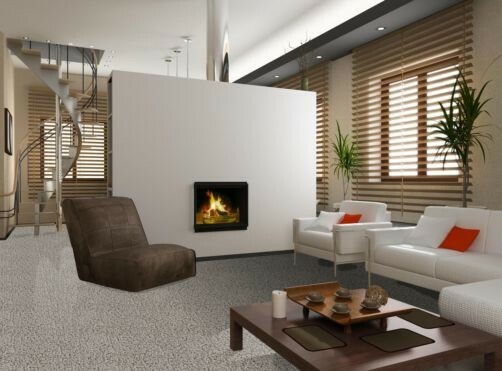 These floors simply aren’t warming, but most hard surfaces aren’t, so its not a deal breaker. We love our hardwood floors! It is hard to find a lot wrong with them, even though they sometimes get colder, they still give off an overwhelming visual of warmth. However there are some extra steps that you can take, like a heated floor system upon installation. You can also have the best of both worlds by putting area rugs down in areas we tend to spend more time in. Further, there is nothing like watching your little boys play with toy cars on hardwood, and then taking them off road on area rugs! All and all there are types of flooring that will fit your families requirements and allow them to focus more on the fun side of things for a change. Thanks for reading and I hope your enjoyed! Favorite NFL Team Area Rug from Georgia Carpet! Previous story Laminate Flooring has Many Layers, Much Like an Onion!